Although today is his actual birthday, my incomparable dad, Richard Copeland, threw himself a 87th birthday party yesterday in celebration of life. 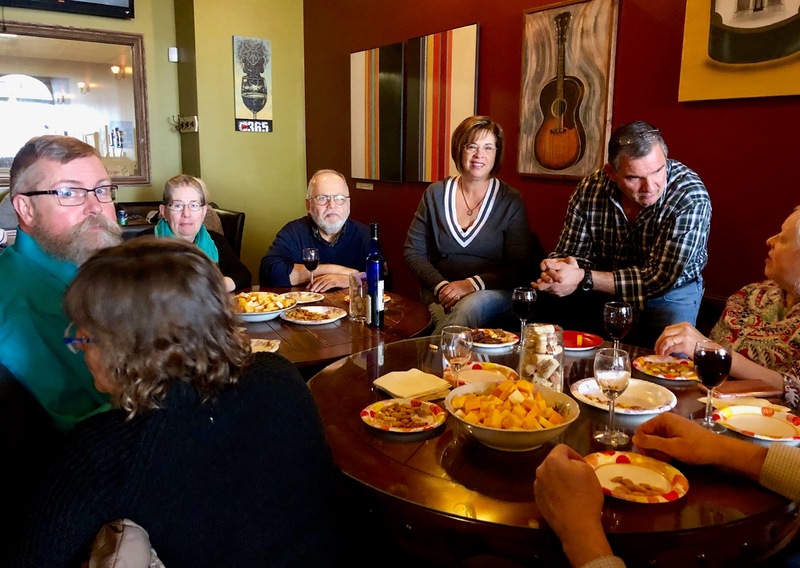 He hosted a gathering of friends and family at The People’s Winery in his beloved city of Logansport, Indiana- the place he’s called home since 1954- in part because he can still pronounce the word ‘octogenarian’ and in part to mark the milestone of living a long and joy filled life. My brother, my husband and I were thrilled to experience the outpouring of love and affection that his friends, neighbors and community shared with him, a child of the Depression who married the love of his life, taught young children how to read, embraced his adopted town, devoted many years to serving Cass County, raised his children to be good citizens, traveled the world, and shared his plants, knowledge and love of the community with everybody he met. We saw what so many of us in the 21st Century miss- a sense of belonging to a seeming Norman Rockwell view of America. It is an America we want to believe in. My dad has friends who care about him. That is golden. I feel so fortunate to still have this wonderfully kind, spirited, loving, exuberant, creative father who keeps on going like the Energizer bunny still healthy, agile, sharp minded, and looking forward to his next project.....this spring a new patio and deck to enjoy the song of Miss Wren, the beauty of his flowers, and a comfortable place to enjoy a whiskey and a cigar with friends who stop by.